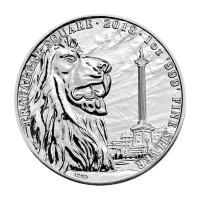 Buy this superb 10 ounce silver coin featuring the Tree of Life at the lowest price online. 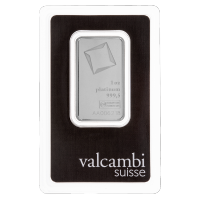 Unsurpassed Royal Canadian Mint quality in their first ever 10 oz bullion silver coin! The symbolism of the Tree of Life is widespread among many cultures and spiritual traditions. It provides a powerful metaphor for the ability to withstand the contrasting forces that surround us. 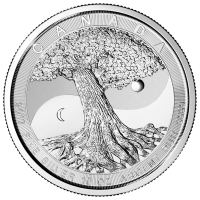 The reverse of this coin features a stylized maple tree, with roots embedded in the earth and branches that strive to rise ever higher. The Yin Yang symbol provides the background, symbolic of the cyclical nature of life and the need to find balance. A sun and a moon represent light and darkness, again a reminder of the positive and negative forces that act upon us. 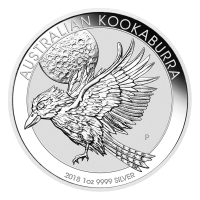 This large format coin is a truly impressive canvas, featuring different finishes as well as incuse and raised elements. 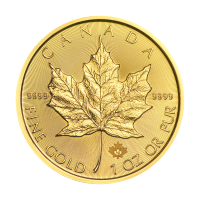 It also features precision radial lines on both sides as part of the Royal Canadian Mint's industry leading security features. 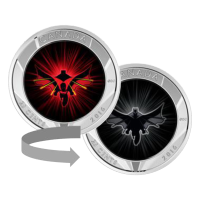 This unique coin will always be in high demand, secure yours today! وجه العملة تمثال للملكة اليزابيث الثانية وعبارة "Elizabeth II D.G. Regina 50 Dollars"
ظهر العملة صورة مزخرفة لشجرة الحياة، رمز يين يانغ ،الشمس والقمروعبارة "Canada 2017 Fine Silver 10 oz Argent Pur 9999"
تمثال للملكة اليزابيث الثانية وعبارة "Elizabeth II D.G. 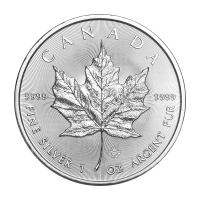 Regina 50 Dollars"
صورة مزخرفة لشجرة الحياة، رمز يين يانغ ،الشمس والقمروعبارة "Canada 2017 Fine Silver 10 oz Argent Pur 9999"